This garment is a stunning combination of a robe and cloak. 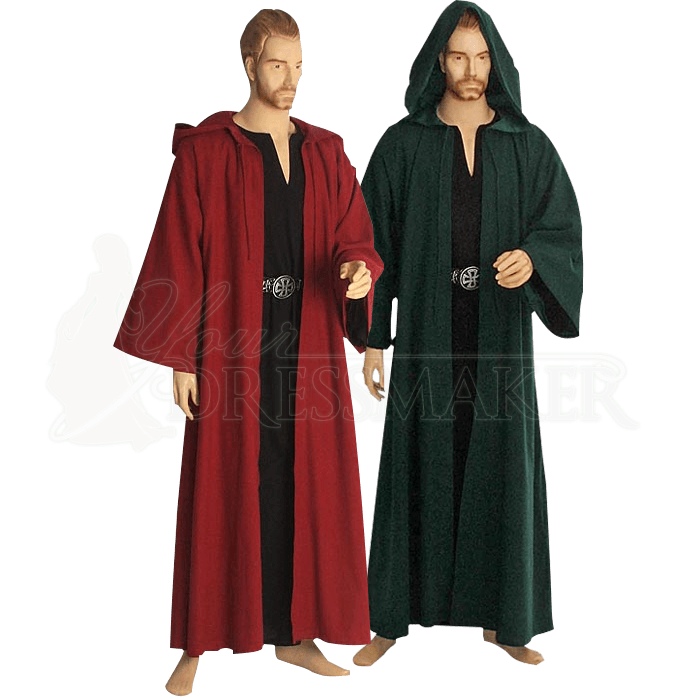 With features from both, the Medieval Ritual Robe/Cloak is a simple yet beautiful item that surely marks an individual as having considerable and great personal power. 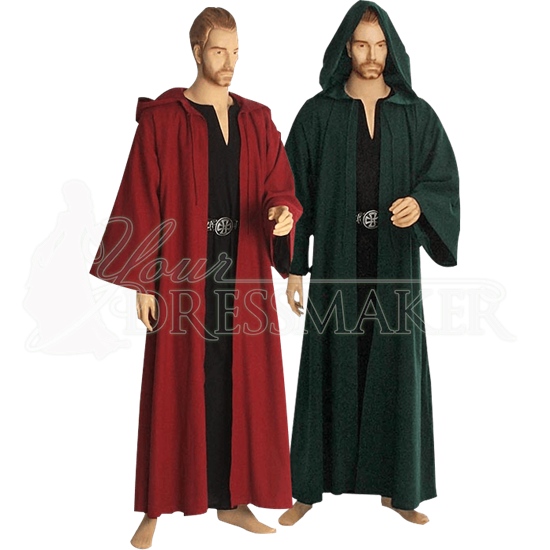 Unlike a typical cloak that simply covers the shoulders, this garment features full length sleeves, ensuring that the cloak-styled garment provides the maximum level of coverage when worn. It is handmade from 100 percent cotton and comes in a variety of colors, making it a medium-weight garment that is comfortable and easy to wear, yet still offers a decent level of protection from the elements. Additionally, the hood is lined with satin to ensure that it is as comfortable to wear as the rest of the cloak is. The cloak is fastened by laces or your choice of fastener at the neck. The pictured under robe and belt are not included and can be purchased separately. 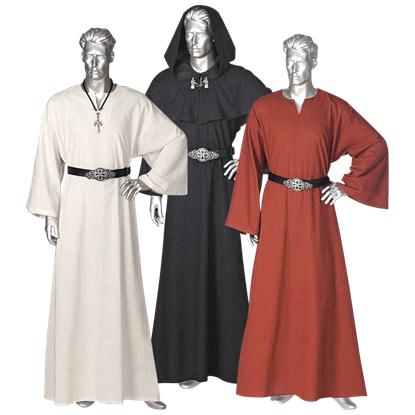 The Medieval Ritual Robe/Cloak is an attractive garment that is the perfect new addition to your wardrobe. It is fantastic for role playing occasions as well as for wearing to any sort of reenactment or renaissance fair! 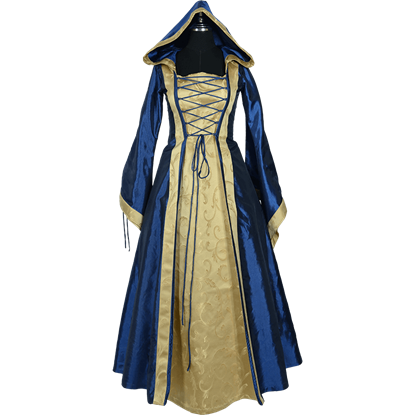 Whether you are casting spells or attending a royal ball, exude mysterious elegance when you wear the Hooded Renaissance Sorceress Gown - Blue and Gold. This gorgeous dress is based on medieval, Renaissance, and fantasy styles.